How Much:$15 advance, $20 day of show for the premiere. A limited number of VIP passes (including hospitality tent / hosted bar at FarOutFest, swag bags, reserved seats and more) are available for $100. Details:Plus TGR FarOutFest with live music brought to you by 10 Barrel Brewing, food vendors, drinks, rock climbing and more! 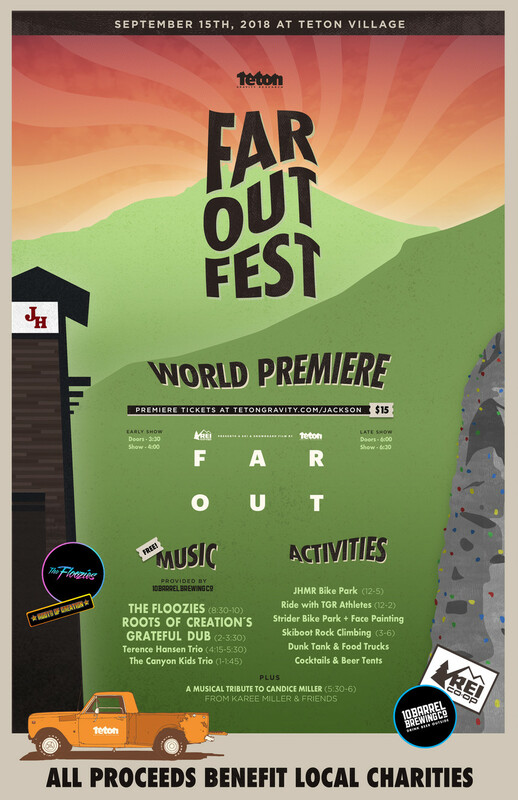 Headline acts Roots of Creation's Grateful Dub and The Floozies. 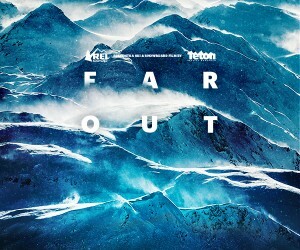 The showings will take place as part of the inaugural TGR FarOutFest, where Teton Village will transform for a full day of music, activities and entertainment brought to you for FREE by 10 Barrel Brewing Company. This includes free concerts by headliners Roots of Creation and The Floozies, as well as a musical tribute to Candice Miller from Karee Miller and Friends. VIP passes now available - buy your pass including reserved seat at the late show, hosted bar in the hospitality area of FarOutFest, swag bags and more. Click here to buy. There will be a ton of prize giveaways from our partners at Yeti, Atomic, Volkl, The North Face, Outdoor Research and others. Plus, enter to win our tour grand prizes - this year including trips to Alyeska, AK (including a day of heliskiing with CPG), a trip to Jackson Hole, a trip to Ski City (Salt Lake) including skiing at the four resorts within an hour of the city, or a trip to Crested Butte, CO.